Remember that first kiss? Did it make you glow with radiance? A bronzing powder will provide a sun-kissed look that gives you an instant radiance and natural glow. Having always loved the golden hues of a tan to the “pale and interesting” alternative on myself, a bronzing powder was a product always to be found in my makeup toolbox. I love the versatility these powders give us from an all over healthy glow to using as a facial contour for making those cheekbones more prominent. Bronzers give a sun-kissed look naturally without the damaging effects of UV rays from the sun. Sunless tanning is more in vogue and a much healthier alternative to sunbathing. Thankfully there is more awareness about the very real effects of sun damage to the skin including sunburn and the importance of wearing sunscreen daily. While these are measurements as a guide, it really is a personal choice and probably best to go with your own mix to suit your own skin tone. 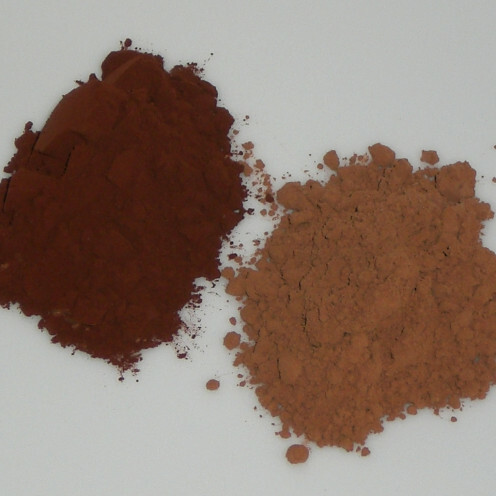 Cocoa Powder adds depth of color, Cinnamon adds a golden glow and Nutmeg adds a sunny brown tone. Arrowroot or cornstarch helps lighten the bronzer for a more even application. Use small amounts with cocoa powder being the predominant ingredient. Cinnamon may cause skin irritation so may be left out if you wish. I would recommend that this bronzer is not used every day, certainly initially until you see how it works for you. Remember to do a small patch test of any ingredient new to you. We all react differently to ingredients so if in doubt do a test in an inconspicuous area on the body (inner arm is best). Add the ingredients into a bowl and mix with a fork. Pour them into a sieve and using the fork push the bronzer through to remove any lumps and refine the powder texture. Add enough rubbing alcohol to hold it together in a thick paste. Spoon it into your compact pressing it in and flattening it out with the back of a spoon. When it dries, you are good to use it. 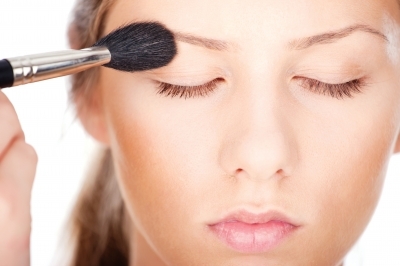 Using a rounded face powder or blush brush (bigger is better) sweep it over the bronzer and tap off excess. A light application is what you are looking for to avoid streaky dirty looking marks. It is far easier to build up color than take it away, more cost effective and more importantly will give you a natural even sun kissed glow. Apply where the sun naturally hits the face which is the forehead, nose, chin and cheeks. If it is too light repeat until you have your desired depth of glow. Apply in natural light whenever possible as it will give a true color indication and you will avoid looking too dark and unnatural. Do you ever wear bronzing powder? f you prefer a loose powder, leave out the rubbing alcohol (or essential oils if using) and place your bronzer into a small sterilized container with lid. An old lose face powder one is perfect or even a salt or pepper shaker cheap enough in dollar or euro stores. Remember to sterilize thoroughly. Experiment with the ingredients. If it is too dark add a little more arrowroot to lighten it, if it is too light add a little more cocoa powder. Coffee has been used in place of cocoa powder in some recipes which needs to be a very fine texture if using. If you are a fan of liquid or cream based bronzers, why not add some loose bronzer powder to a teaspoon of whipped body butter or a body lotion and mix it together. Don’t use those tiny brush applicators that come with blush, they are useless and will leave you with a streaky and often heavy handed looking application. A small set of long handled makeup brushes are well worth having and will last when looked after. Remember to have FUN, this is a recipe that is fun to experiment with and use occasionally in my opinion, not for everyday use. It is an ideal one for teenagers who want a cheap and cheerful idea to quickly make with friends. Hope you enjoy experimenting with this. Take precautions with cinnamon it may be too harsh for you if you are prone to sensitive skin. Using a small amount of this bronzer should be fine daily but otherwise I would use occasionally rather than daily or it may be irritating. Thanks so much for your comment and interest, always great to receive from you! I was just wondering what I was going to do when my expensive bronzer runs out. I use it everyday. I little dusting across my nose. I think this is so cool and will create my own soon. 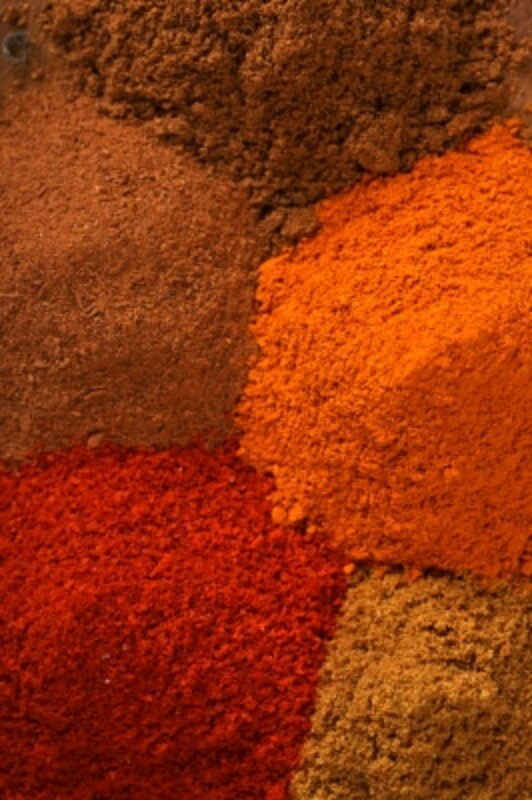 Nice tips on trying out various spices to get the right shade and without irritation to skin. Thank you, you are saving me money and keeping me on the natural side! So good of you to take a read and comment, Appreciate your support and for passing it on to others! Not a big makeup wearer, but this would be appealing to me in that it is natural. Shared for others to enjoy and love that it has cocoa in it. Hope this one works well. Take care with Cinnamon or leave out as it may cause skin to be irritated if used. This recipe is a fun idea that works but maybe not for everyday use, I leave that up to you to decide. Thanks for your story, always interests me hearing things like that! I use bronzing powder so this subject interests me. The method of preparation is interesting....I hope I can pull it off! I like the natural ingredients, although I might be tempted to make a cake with it instead of put it on my face! I really appreciate your DYI beauty products, in part, because of living in rural areas of Peru where products aren't always available. An anecdote: I ran out of powder one time a while back and decided to make my own with rice flour I ground and sifted myself. I tried it on, looked in the mirror and headed out of the house. It just so happened that someone took our photo that day and when I saw it...what a shock! It looked like I was wearing a white mask! This one Suzie your wrote just for me and I am voting up, sharing and saving for my own use. Great hub and wishing you a great day. Apologies for delay in replying my laptop is on the blink so using my other half's while he is trying to fix it. With your sensitive skin I would suggest not using the cinnamon it could cause your skin to react. Hope you enjoy this and I really appreciate your comment and support!! I love Bronzing Powder so will definitely try this out. I'm not a great fan of tanning in the sun as I have a very sensitive skin. I don't get sunburnt very easily but I have an itchy skin and too much sun makes it worse. So using a Bronzing Powder is a great alternative. Thank you for sharing this. Wow, that is hot and often the high humidity is the killer. I remember when I was in Singapore, the same thing, high humidity. Hopping in and out of shops was necessary to cool down. Enjoy your cool rooms thanks to air-con! Many thanks for commenting. When someone drops in with such a comment as yours, it makes it all so worth doing. Hopefully later on you will get the opportunity to try this out! Many thanks for dropping in here! Great timing if you were about to buy a bronzer. Hope you enjoy trying it out and experimenting. Lipstick one on its way my friend, especially for you! Cheers so much for the suggestion, votes andpin - have a great weekend! It has been very hot the past few days, the hottest so far this Summer. Today is the hottest. 99 degrees, with a "feels like" temperature of 105 degrees Fahrenheit, with the high humidity. Stifling! I was ready for it, though, and I am in my apartment with the air conditioners on. I love these DIY instructions. I look forward to the day when I do try these. I haven't had a chance yet. Thanks for sharing your information. Always a pleasure to read! Yep, lovin your dividers and see me using them frequently! Have not mastered making my own yet just have so much on right now. Cinnamon does cause a reaction sometimes, thanks for filling me in on your experience. 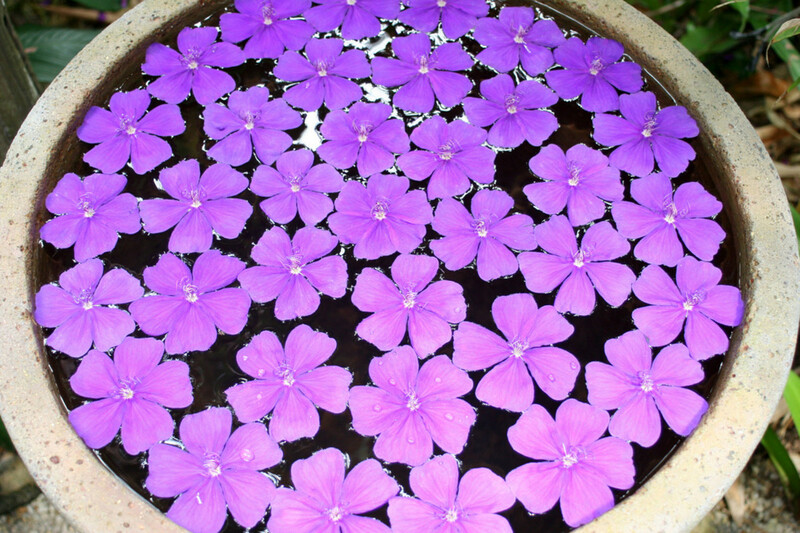 Appreciate your comment and for the visit! Thanks so much for taking the interest to check this one out! Glad you found it interesting, something a bit different but hopefully you may get the chance to give it a try! Thanks Rose SO MUCH for the lovely compliments, I certainly love this field and hope it translates into the recipes! :-) Cheers for your vote of confidence. Wow! Amazing! With all the ingredients I have in my kitchen cupboard. This came very handy to me today. I was about to buy a new bronzer this afternoon as mine is empty. I´ll use lavender essential oil as i love the smell of it. I have never thought that it´s easy to make. 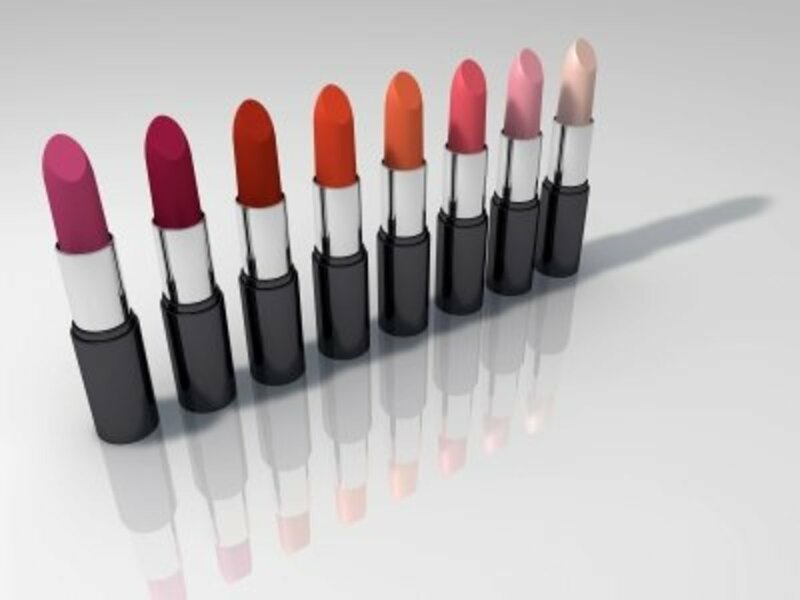 What about making a lipstick? I need a new one. Thanks Suzie. Voted this up and pin it in my spa boards. Have a lovely day! It is an easy one for sure and worth trying out in compact or loose powder form. Appreciate your comments as I always do Rose, hope you give this a go sometime!! Good to see you as always! This was a fun thing to make that works and costs way less than the brands I used to buy which tended to be expensive. Appreciate your thumbs up and share on this one!! Wishing you a wonderful weekend, hope it cools down a bit for you, sounds very hot but typical temp to what we will have in southern Italy. The weather there is good for 8-9 months of the year, even in November we were wearing t-shorts and shorts some days I remember!! How different to Ireland!! Wow, I am in awe of this simple ingredient list! I had no idea it was so easy to make bronzer at home. I'm definitely intrigued now! I haven't used bronzer in a while, but I would definitely like to try this out! I have every ingredient for it, too! Thank you for sharing another awesome hub with us. I hope you are having a wonderful day. It is super hot here (earlier it was 97 degrees Fahrenheit in Newton, where I work. With the humidity, it felt like 101). I am indoors, enjoying the air conditioner. Glad you enjoyed this and yes it smells wonderful too! Thanks very much for visiting and for your comment! Many thanks for your interest! Vodka should work okay too. Delighted you are keen to give it a go, cheers for the votes shares and pin, so much appreciate that! So cool! I am going to try this! 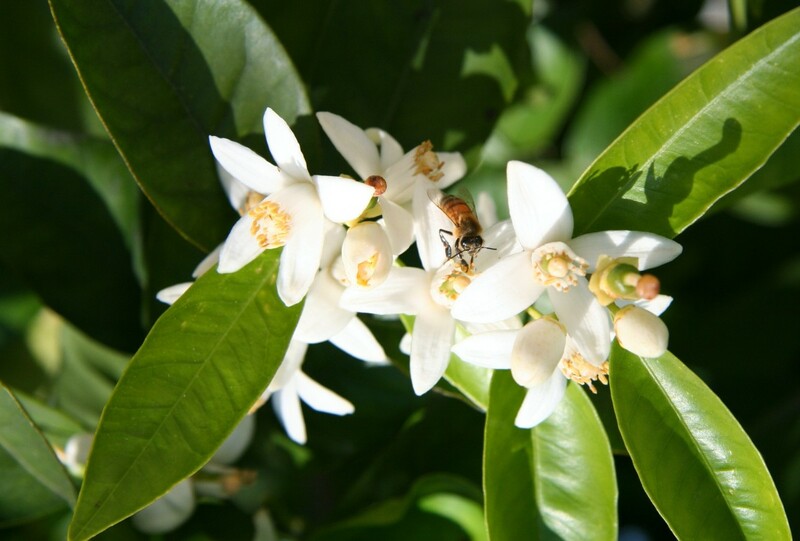 Very interesting and I bet it makes you smell great too. Thanks so much for stopping by. Yes no problem leaving out the liquid and use it as a loose powder in a container. it is a personal opinion with the ingredients used it may be too irritating everyday but feel free to try it, every skin is different. Cinnamon I would be careful of if you are particularly sensitive and otherwise use in small quantities or leave it out. By sieving the ingredients really helps get a fine powder which is better for an even application. Hope you enjoy trying it out and thanks very much for your comments and query, much appreciated!! Yes you could use it on other parts lightly. It may rub off on clothes a wee bit so I prefer to keep it to the upper body or maybe legs. Perfect for Leo's as is sunscreen, cooling spray or sunburn remedies. Appreciate your support as always and thanks so much for your sharing and pinning!! Just need the rubbing alcohol. Won't vodka do? It is alcohol after all! I rather like the idea of all natural ingredients in my bronzer. Great hub. Shared, pinned, upped. Etc. This is great. I am just about out of my bronzing powder and am dreading spending money to purchase more. It's running about $24 now, and it lasts a year so I guess it's a good investment, but I would much rather try a do it yourself one! Is it possible to leave the rubbing alcohol or oil out and just use the mixture of the 2 dry ingredients? And why can't we use it everyday? This is amazing...What a great idea...May use this one for Leos the sun worshipers. You get more creative every day... Can this be used on other body parts? Sharing and pinning of course. Lovely to see you, hope you had a great weekend! Thanks for your lovely comments, i really do enjoy this topic so much and find it has really taken me on a really personal journey I am loving. Whenever anyone tells me they enjoyed a recipe, tried it out or are changing their way of using cosmetics I really feel elated. Appreciate your votes, shares etc . . . you are an amazing friend and champion of my work since the very beginning, I have never forgotten that Bill and never will. Mickster and I just arrived in Dublin for a meeting in the morning with an agent we have gone with for letting my apartment. Fingers crossed I get it rented at a fair price. No trip to the British Open I'm afraid, Mickster thinks of prison when you mention those two words . . . . go figure!! Well, I did pick him . . . have a great day / evening Bill and thanks again for being you! I'm a fan of your beauty hubs and I'm really excited about this one. I actually gave the ingredients for this and I love bronzer. Sharing and voting. How are you my friend? Still pounding that niche and doing a marvelous job of it. Proud of you and I mean that sincerely.